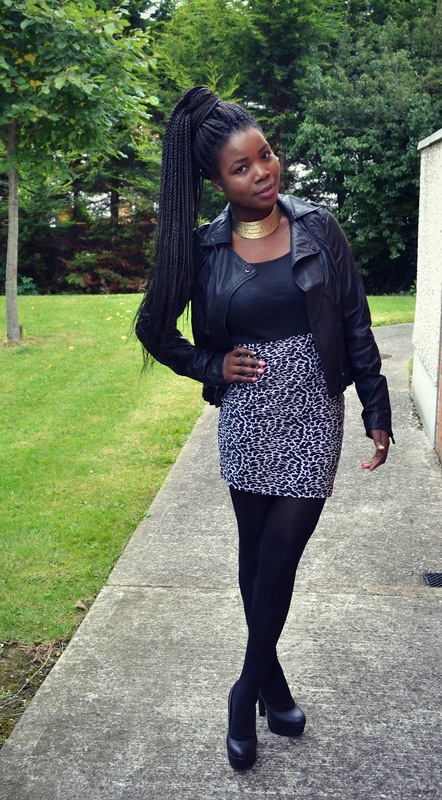 Shoes-New Look/Body-con Dress-Gift frm Mona/Leather Jacket-Bershka/Necklace-Forever 21/Lipstick Tease by Topshop. I hope everyone is having a nice weekend..so today I wore a body-con dress with an animal print design. Honestly speaking I wouldn't have bought it if I was to have seen it in a store cause I would have just thought it wasn't my thing.But since it was bought for me,I tried it on I surprisingly liked it and styled it with a leather Jacket with simple jewelry, I may be more open-minded about animal prints in future.